Here are a few shots of some of the games the students played while getting to know each other and making friends. 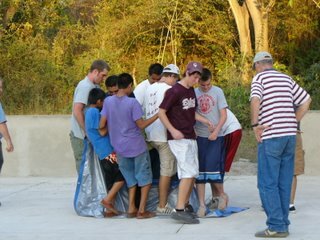 Team Building Games: Everyone on the team had to stand on the tarp and flip it over w/o touching the cement. Team Building Games: Try to see how many people you can get on a peice of carpet. I think there was 10. 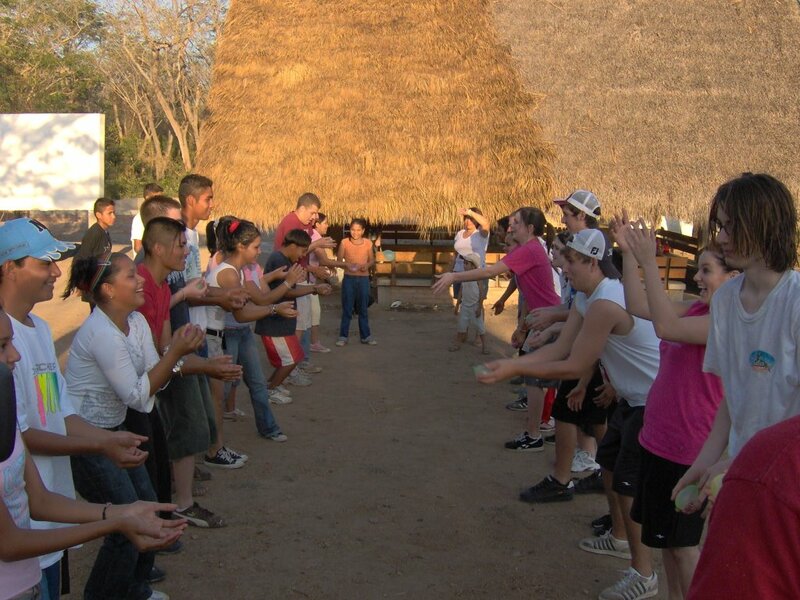 Tossing water balloons back and forth with baby oil on your hands. 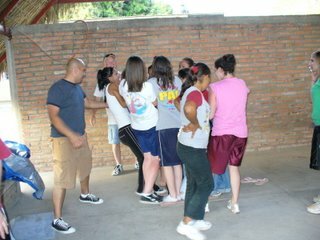 Mexican/American partners.